This balcony is a place to lose track of time. French doors open to let the vibrant colors of the sunset and this neighborhood in. A glass railing system seems like the only choice for this space, and expands the livable space on Doug’s second story. 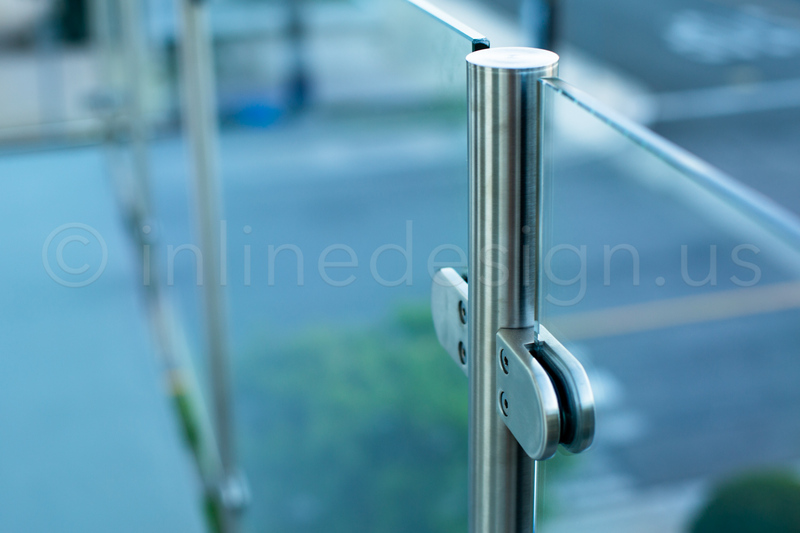 Virginia Round fascia posts mount to the side of the balcony and maximize square footage. These posts are visually appealing and incredibly sturdy. The mounting place of the outside corner posts allows for one post to turn the corner in a structurally sound way. 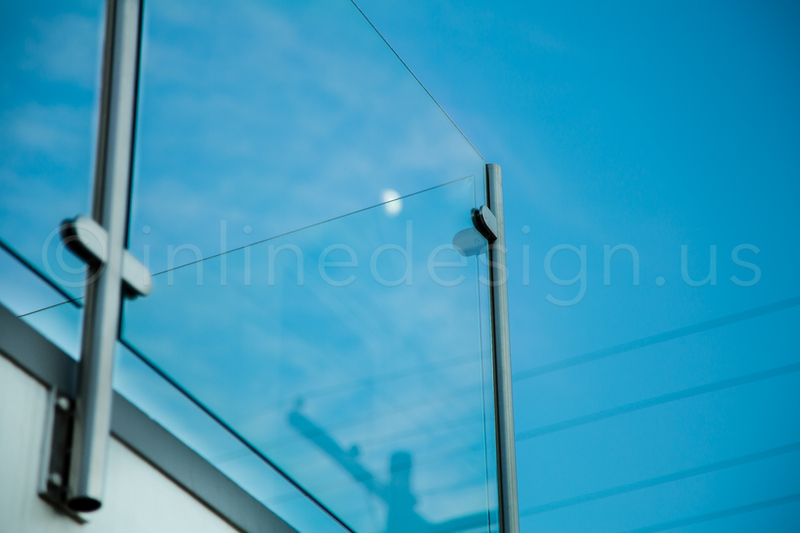 Our fascia systems come in round and square options, and customers can choose cable or glass infill for these spaces. We totally support this customer’s choice not to use a handrail on top! 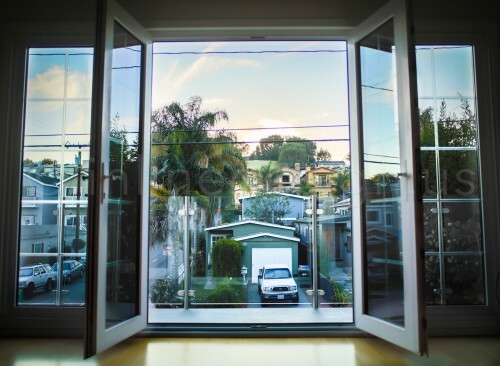 Let the view do the talking to the posts and glass do the walking – however, it is important to research building code in your locale. In some cases, a handrail frames the space or is required.